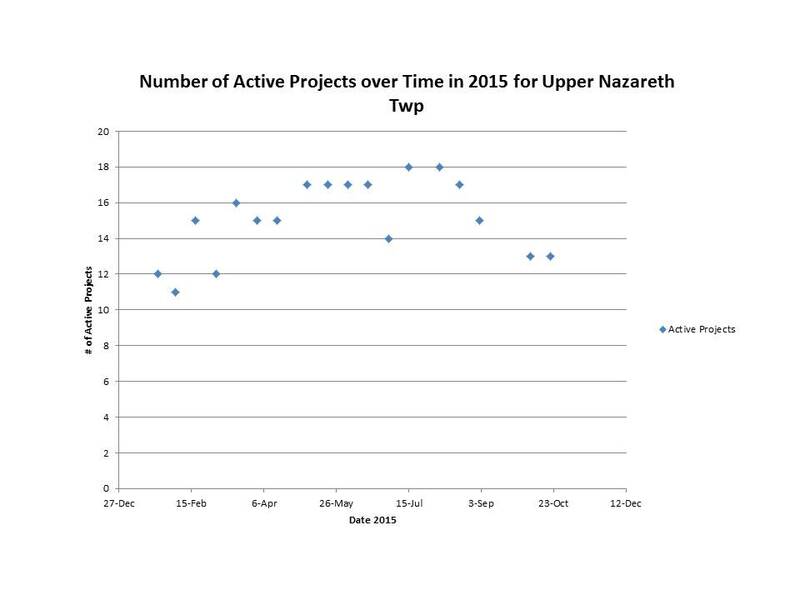 Here is a graph of the “Active Projects” in Upper Nazareth Township. Projects take an average of 10 meetings (5 months) to be accomplished which, according to past supervisors, is not how it used to be. The Supervisors used to be a lot more proactive in getting things done. Note: The Township is no longer providing this information in the Agenda or the Minutes. You have to go to the office and ask for it. Becky Bartlett is a candidate for Upper Nazareth Supervisors. The election is on November 3rd.